Two THAAD interceptors and a Standard-Missile 3 Block IA missile were launched resulting in the intercept of two near-simultaneous medium-range ballistic missile targets during designated Flight Test Operational-01 (FTO-01) on September 10, 2013 in the vicinity of the U.S. Army Kwajalein Atoll/ Reagan Test Site and surrounding areas in the western Pacific. The test demonstrated the ability of the Aegis BMD and THAAD weapon systems to function in a layered defense architecture. Right now, the United States and South Korea are in discussions regarding the feasibility of deploying a Terminal High Altitude Area Defense, or THAAD system there, along with its associated radar, while nearby China has voiced objections to the idea. No decision has been reached, but earlier this week Lt. Gen. David L. Mann, commander of U.S. Army Space and Missile Defense Command/Army Forces Strategic Command and Joint Functional Component Command for Integrated Missile Defense said such an emplacement would provide a “huge increase in capabilities,” in South Korea to protect against threats posed by North Korea. Mann is aware of China’s concerns. Right now, he said, discussions are about the feasibility of putting a THAAD battery in South Korea. The system is designed to strike down incoming missiles in their “terminal” phase. THAAD missiles don’t carry warheads, but rather rely on their own weight combined with the speed at which they travel to strike down the missiles they target. 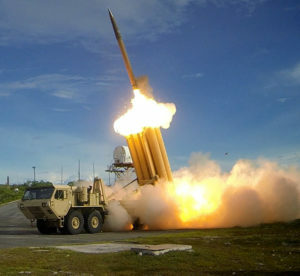 A THAAD battery consists of launcher vehicles with each vehicle holding 8 missiles; a radar system; and a fire control system which serves as the communications and data-management backbone. The THAAD system, he said, is designed to provide greater capability to address “more challenging threat vehicles that are out there.” The THAAD system augments existing capabilities such as the Patriot Missile system and the Aegis Combat System. “THAAD, if you look at its performance, especially in past testing, it’s just remarkable what its capability has proven to be,” Mann said, praising the system’s capabilities. Were such a system ever put into South Korea, Mann said, it would be focused not on China, but on threats coming from North Korea. In recent months, North Korea has become more aggressive in testing potential weapons technology. In January, North Korea detonated what it claimed to be a hydrogen bomb. Last month, it launched an earth observation satellite into space. Mann said the North Koreans are making themselves a viable threat — the kind of threat THAAD is designed to address. Right now, the Army has a THAAD system in place in Guam, and Mann said that system is likely to stay there long-term. Were a decision to be made to place a THAAD system in South Korea, it could take several weeks to make happen, Mann said. While the system is mobile, site selection and site preparation will take some time. The Army is looking at other locations for THAAD as well, Mann said. In addition to South Korea, he said, he believes Japan and other nations may also be interested in the system, but “to what degree I’m not prepared to say,” he said. “If you look at their operation plan, they see a need … for this capability,” he said. The older Patriot Missile System has a mission similar to that of the THAAD system, though there are many more in the Army’s inventory. The Army plans to have up to seven THAAD batteries, for instance, while it currently maintains 15 Patriot Battalions. 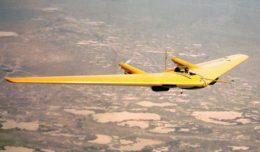 Nevertheless, Patriot systems and crews are overtaxed, and Mann said it’s not prudent to look to the THADD system to relieve that stress.